STUART, FL--(Marketwire - October 1, 2010) - Fishermen heading to South Florida for the Southern Kingfish Association's 2010 National Championship Fishing Tournament will find the Hutchinson Island Marriott Beach Resort & Marina hooked on the festivities and welcoming fishermen to this prestigious fishing championship. This hotel on Treasure coast welcomes fishermen to the event with special group rates, boat slips and a nearby boat ramp. The fishing grounds are located in the St. Lucie inlet in Stuart, FL. The sophisticated 200-acre Hutchinson Island Marriott Beach Resort & Marina provides fishermen with easy access to tournament waters. The hotel's 77-slip marina with a boat ramp is conveniently located just 300 feet from the hotel entrance. Boat slips are available in Martin County on a first-come, first served basis. For the SKA tournament, the marina fuel docks will be open from 4:30 a.m. to 7:30 p.m. with ice available. 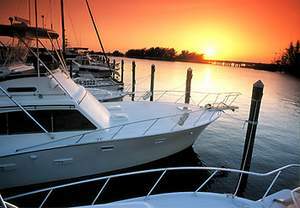 The Southern Kingfish Association group rate is $105 per night beginning October 29 through Nov. 7, 2010. With accommodations at one of the most popular hotels near Fort Pierce, fishermen will not only enjoy easy access to St. Lucie Inlet, but will rest easy with opulent amenities, a diverse selection of on-site dining and unending opportunities for other recreational activities, which is sure to please any non-fishing crew members who may be accompanying fishermen to the tournament. In support of the SKA event, the Hutchinson Island Marriott Beach Resort is participating in the SKA-sponsored raffle to be held during the event, offering a two-night future stay, with complimentary slip accommodations and breakfast for two, valued at $650. The Hutchinson Island Marriott Beach Resort is one of the finest Port St. Lucie Resorts and offers guests relaxing beachfront Sandpiper villas, three on-site swimming pools in addition to its miles of pristine beaches, an 18-hole executive golf course, 13 tennis courts, an array of beach water sports, fitness facilities and complimentary fitness classes as well as nearby spa services. Spacious, oversized guest rooms feature magnificent resort and ocean views with private balconies or patios. In-room amenities include a mini-refrigerator, microwave, coffee/tea service, instant hot water and a wet bar. As a refreshing option from Fort Pierce hotels, fishermen will find unrivaled accommodations at the Hutchinson Island Marriott in addition to spectacular tournament fishing action. The Hutchinson Island Marriott Beach Resort & Marina is a breathtaking beachfront property conveniently located just minutes from Jupiter, Florida and only 45-minutes from the Palm Beach International Airport. With easy accessibility, away from the normal congestion of South Florida, this is perfect for a vacation getaway, but also offers businesses 29,000 square feet of flexible meeting space, including the spacious Club Pool Deck with seating capacity for up to 510 persons and on-site exhibition space. Nestled between the warm waters of the Atlantic Ocean and Intracoastal Waterway, the resort encompasses a 77-skip marina, 18-hole executive golf course and miles of beaches.